go to your competition for faster turn-around, or expanded capabilities. The Solution ? 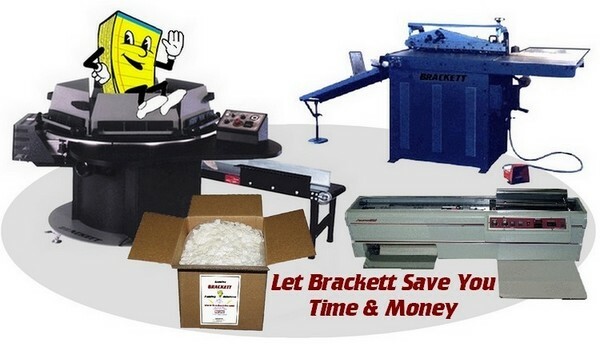 ~ Brackett Automation ! Still padding by hand with pad press and glue brush? Say NO to the mess of your padding press ! save hours of brushing, clamping, drying and slitting. See the ease of use and short learning curve of Brackett machines. re-binding, back-gluing and, of course automated padding. to provide solutions to your post-press problems.